Is This the Next Big Thing in Office Chairs? It’s been a long time since I’ve seen one of our reps bring us a task chair (or any product) that was truly innovative. The 8 and 10 series nylon flex back chairs from At the Office are very different from anything I’ve seen. Before Herman Miller came out with the first mesh chair, the Aeron in 1994, all chairs were fabric covered and very boring. The Aeron was a game changer in our industry and is now part of The Museum of Modern Art’s permanent collection. Hundreds of copies of the Aeron followed and now mesh is about all anyone buys. Between 1994 and 2009 about the only thing we saw from the commercial seating industry were better and more affordable versions of the Aeron. In 2009, Knoll introduced the “Generation”, the first office chair with a “flex nylon” back. The flex nylon is a very “rubbery” and flexible material. It’s the perfect material for an office chair back because it moves and flexes with the user. It’s also much more durable than the mesh back and comes in very bright colors. The first time I sat in a Generation chair back in 2009, I knew it was a winner. The only reason it hasn’t taken off is the price. A Generation chair typically lists for over $1,200. As I walked away from the Generation chair that day, I knew it wouldn’t be long before we’d see a more affordable version of it. That time is here. The 8 and 10 series are not cheap knock offs of the Generation. They are good quality and well-made chairs. They are also less than half the price of the Generation and that makes them a great fit for Team Office. The flex nylon back comes in bright colors and may do to office seating what Nike has done to the sneaker business. Nike’s bright colors and light-weight materials have made other shoes look old and out of touch. 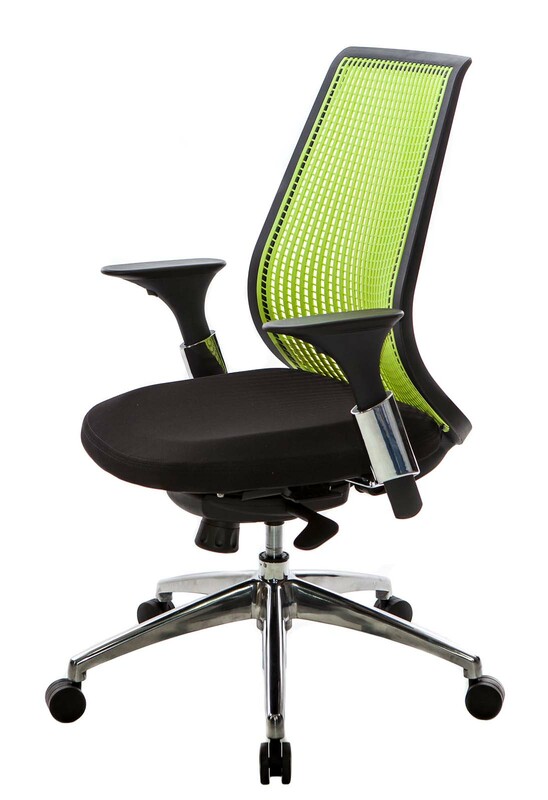 Will flex nylon back chairs in bright colors do the same thing to office seating? Only time will tell. But, I wouldn’t bet against it. In fact, I’m not betting against it. Just call or email Team Office and we’ll let you take a flex nylon back chair (that you can comfortably afford) for a test drive. Office furniture is an integral part of every workplace, but when you need to get rid of it, it can be difficult and costly to dispose of. The good news is, there are questions you can ask and things you can do on your own that will help lead you to a solution that not only makes good business sense but is environmentally responsible as well. If you’re in the process of getting rid of some old office furniture, ask yourself the following 9 questions. 1. What exactly are you getting rid of? Create a spreadsheet that includes every piece of furniture you need to get rid of. You don’t need to include every little piece that makes your cubicles, but it should include the manufacturer, sizes, panel heights, quantities, age, components, colors and general condition. It should also include images. This list is important because it will allow you to share your excess inventory with potential buyers. 2. What is your furniture worth? Unless you’re an office furniture expert, you’ll probably need help with this one. However, not knowing the approximate value (not what you hope it’s worth) of your furniture will put you at a huge disadvantage when it’s time to negotiate with a buyer. If you do know the value, you can confidently work with a buyer and stick to your guns while negotiating a sale. You should know both the wholesale and retail value of your furniture. Your furniture dealer should be able to help you determine the value. If not, call Team Office. We’ve helped many of our clients determine the value of their old office furniture and negotiate a successful sale. If your furniture is 10 years old or older, chances are there is very little value in it. It’s been fully depreciated by that point and it’s probably reaching the end of its intended life cycle. Your furniture dealer should be able to coach you through this process and help you determine if there is any market for the furniture. 3. Is there any chance you’ll need to reuse the furniture at some point in the future? No one can predict the future, but even if there’s a slight possibility you will need to reuse your furniture again, it’s probably a good idea to store it. However, if you do store your furniture, don’t overpay. Get several quotes. This could be an ongoing cost and you’ll want to save as much as you can. As long as you have a good inventory and the furniture is placed in storage with care and in an organized manner, there is no reason to overpay for fancy storage space. How quickly do you need to remove the furniture? The answer to this question will play a big role in your decision. If your lease requires you to vacate the space within 30-60 days, you’ll probably need to work with a wholesaler. A good wholesaler has the ability to remove the furniture at your convenience and store it in his facility. You’ll pay for this convenience, but you may find what you lose by working with a good wholesaler is a lot less than paying a penalty on your lease. 5. How much will it cost to remove your furniture? It’s always a good idea to get a bid from a reputable installation company to tear down and remove the furniture. It doesn’t cost anything to get a bid. Whether you’re selling the furniture or giving it away, someone will have to pay these costs. If you don’t know a good furniture installer, we do. 6. Is another end user interested in your furniture? The best possible solution is that you already know someone who would be interested in buying your furniture. If so, use the information you’ve compiled and negotiate a fair price. If you don’t have a possible buyer yet, Craig’s List is a good place to find one – especially for smaller inventories. Don’t forget to require the buyer to be responsible for removing the furniture within your time frame. 7. Is a used furniture wholesaler interested in your furniture? If you can’t find a retail buyer and you think your furniture still has value, contact a couple of wholesalers and see if there is any interest. If at least two wholesalers aren’t interested, keep reading. 8. Are you willing to donate your furniture? If you’re in a huge hurry or if the furniture has little to no value, it might make sense to donate it. You’ll not only be doing a good deed, you’ll also receive a healthy tax deduction as well. Please contact your accountant to learn more about the rules and limits for office equipment donations. There are many worthy organizations in Kansas City. Team Office donates a substantial amount of excess furniture every year. We have a list of organizations in need. Please contact us if we can help you. 9. Can your furniture be recycled? If your old furniture is constructed primarily of wood, laminate or particle board, it cannot be recycled. If it has a lot of metal components, you may want to consider recycling. However, remember there will still be labor costs to tear it down, remove it and take it to the recycler. Chances are very good the money you make won’t pay for the entire cost to remove and transport it to the recycler, but it will help reduce those costs. 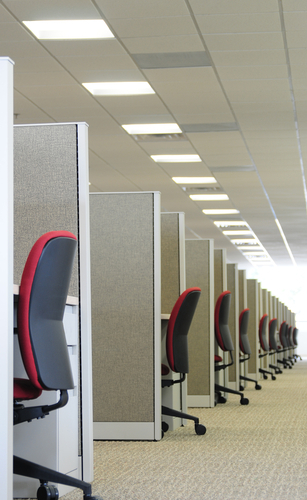 Office furniture is cumbersome and bulky and can be very difficult and costly to manage. We hope these questions will lead you to the solution that’s right for you. We help clients deal with their excess furniture every day. We also have a used furniture division and installation company – valuable resources you can use to get rid of your old furniture in a responsible way. We’re always glad to work with our clients and help them make the best decisions for their business. Call or send us an email if we can help you with your excess furniture. Could you work in an office that looks like a kindergarten play area, but for adults? At companies like Facebook, Google and Apple, you’ll see colorful and brightly lit workspaces filled with workstations, monitors and conference rooms as well as couches, and game tables. Research shows that productivity and creativity at such non-office looking spaces is often high. However, critics pose a valid question: Do some modern workplace interior designs undermine the organization’s professional credibility or, is it possible other industries could also benefit from a more “hip” and collaborative space? If the approach to the interior design of office spaces were to shift and the modern standard spread into all of the various professional sectors, it could drastically change the workforce and how we perceive the workplace. 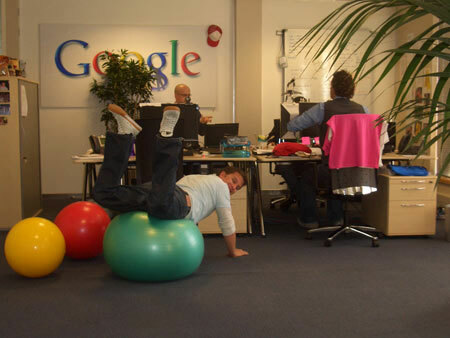 Many organizations that embrace this new work style point out the success stories; namely Google who’s creative and fun-loving work culture is a hotbed for innovation and growth. It’s a given that much of this depends on the business you’re in. While creatively designed space may inspire innovation, it may not be practical or productive for certain professions.